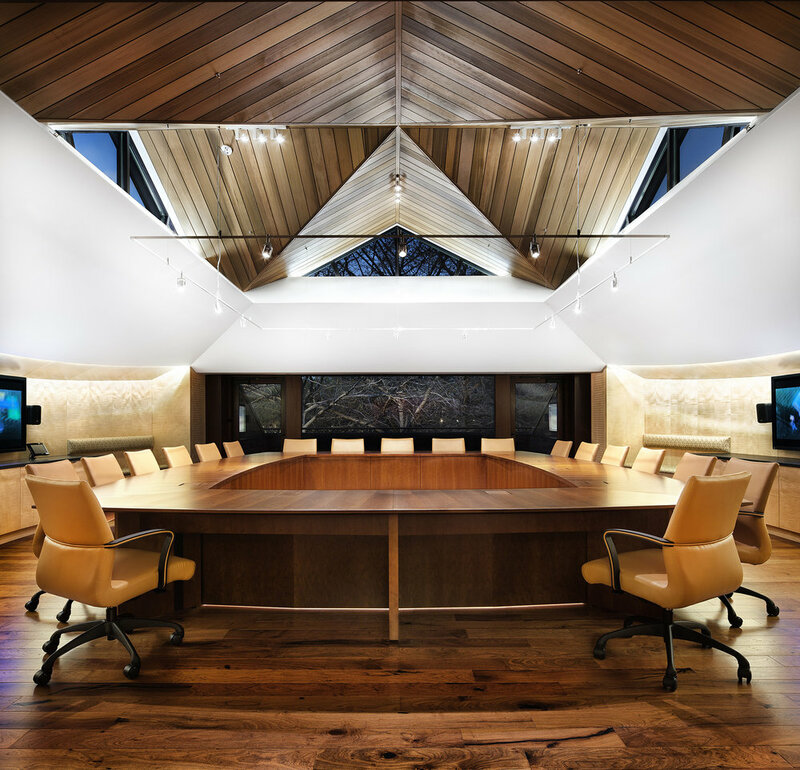 The addition and renovation of the Texas Exes Alumni Center represents a significant expansion to the 1980s facility, designed by Charles Moore and Richard Dodge. The project complements the architectural sensibilities of the existing building with an updated material sensibility on the interior while taking advantage of the unique siting of the alumni center in relation to both the Darrell K. Royal Texas Memorial Stadium to the east and Waller Creek to the west, as well as creating a strong connection to the adjacent Texas Cowboys Pavilion, also designed by Miró Rivera Architects. The existing loading dock and kitchen were replaced to provide a new home for alumni functions and a dedicated entry at the north end of the building. 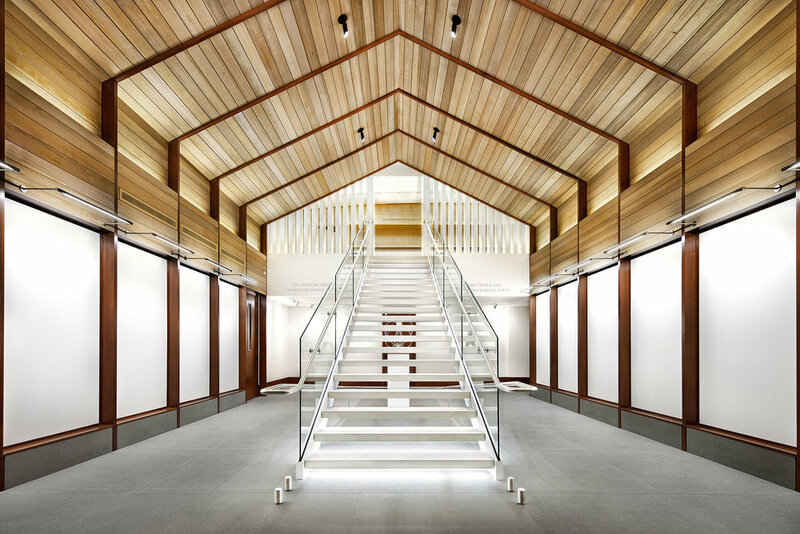 Visitors enter through a new, light-filled, double-height entry vestibule clad with cedar and mahogany siding and featuring an open stair with Texas native limestone treads. 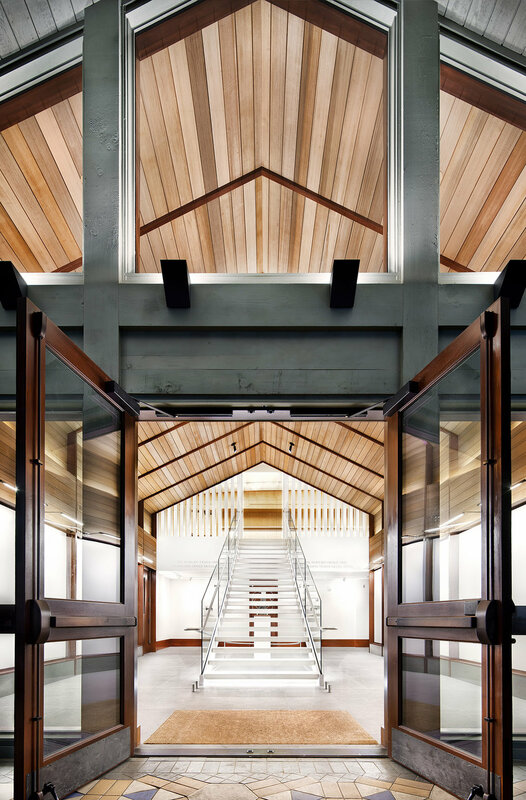 The interior unfolds from the entry to reveal a new Legends Room, kitchen and bathrooms on the first level, and a maple-paneled lobby and board room with clerestory illumination on the second level. 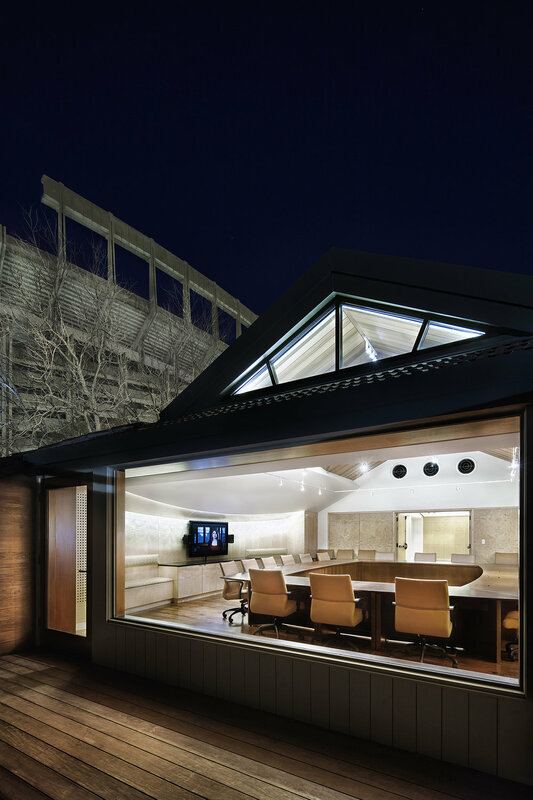 The new progression ends with a simple outdoor deck positioned within the mass of the roof that provides a place of prospect for alumni to survey the iconic university clock tower, creek and stadium.